Below are video demonstrations of key features of an iPad app that was created for a global leader in power generation systems. It was used mainly as a sales tool and for promotional purposes at conventions. A Windows version of the app was also created for displaying on large touchscreen monitors for interactive presentations. A virtual factory area displaying 29 different types of turbine parts. Due to the proprietary design of the repaired parts, 3D computer models of the parts were not available. To create the effect of photorealistic 3D models, the real parts were photographed with a high-resolution still camera. Each part was photographed in 360 different positions on a rotating table – one still photograph for each degree of rotation. In Unity, each repaired part is represented by a single planar polygon placed somewhere within a virtual factory. Each polygon is oriented such that its normal vector always points at the virtual camera. As the camera moves or rotates, the polygon adjusts its rotation to continually face the camera. The planar polygon for each repair part is texture mapped with one of its 360 photographs – based on the Y rotation of the camera. As the camera is rotated, the texture maps are rapidly swapped out (every degree of rotation), giving the illusion of a 3D rendered model. The result is actually a much more detailed view than we could have achieved had we used a 3D model. 3D models of four different types of power generators, with automated display of the generator's features and benefits. The models were built externally and imported into Unity. There are multiple preset viewing positions for each generator, but the camera is always live and touch responsive. Each generator also includes an automated or manual tour of features and benefits. A custom shader was added to view some points of interest in X-ray mode. An in-app web browser displaying a website with an embedded Google map viewer showing the location of the company's generators thoughout the world. A custom website was created using PHP and MySQL with longitude/latitude coordinates and site-specific data. An in-app browser was added to Unity to view the website without leaving the app. The mapping included location and model type filtering, multiple view options, and Google Street view (where available). Four promotional videos are available for viewing from within the app. A video modual was added to Unity to allow viewing of promotional HD videos without leaving the app. The videos are embedded in the app, so no internet access is required for viewing. Parts and Repair – A virtual factory area displaying 29 different types of turbine parts. 3D models of four different types of power generators and a 3D animated cut-away view of a turbine. An automated display of the generator's features and benefits. A general promotional video that initiated when idle, prompting viewer to touch the screen to start the tour. 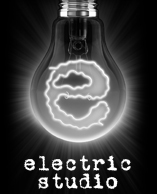 Four specific promotional videos, one for each type of generator featured. Touch responsive 3D camera thoughout. 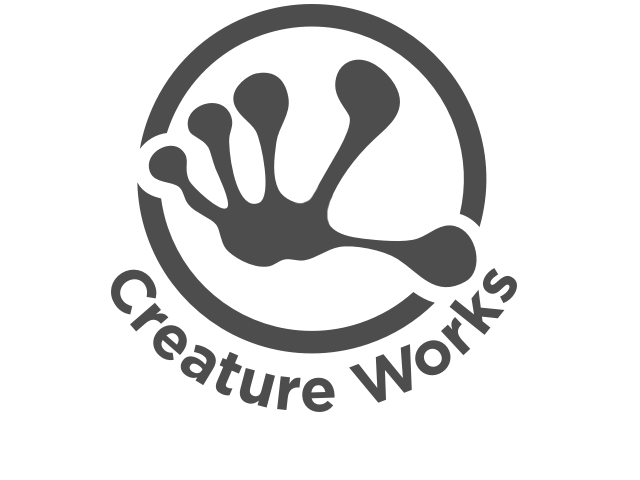 Creature Works is a group of designers, developers, and strategists creating both new and traditional media. We build brands, design and develop web sites, web environments, and create marketing and communications solutions. © 2019 Creature Works Labs. All rights reserved.